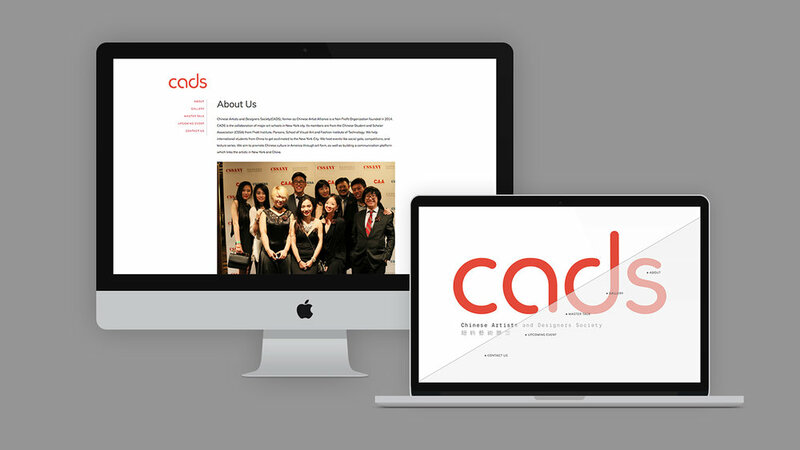 Client: Chinese Artists and Designers Society(CADS), former as Chinese Artist Alliance is a Non Profit Organization founded in 2014. CADS is the collaboration of major art schools in New York city. Its members are from the Chinese Student and Scholar Association (CSSA) from Pratt Institute, Parsons, School of Visual Art and Fashion Institute of Technology. We help international students from China to get acclimated to the New York City. We host events like social gala, competitions, and lecture series. We aim to promote Chinese culture in America through art form, as well as building a communication platform which links the artists in New York and China.